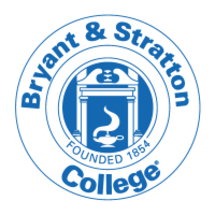 Founded in 1854, Bryant & Stratton College has built its reputation and success on a commitment to excellence and high standards. We’re proud to be regionally accredited by the Middle States Commission on Higher Education (3624 Market Street, Philadelphia, PA 19104, (267) 284-5000). The Middle States Commission on Higher Education is an institutional accrediting agency recognized by the U.S. Secretary of Education and the Council for Higher Education Accreditation.